China is not only a huge country but has also one of the oldest culinary traditions in the world. Because of this long history, it's so incredibly diverse that wherever you go you will find special local dishes impossible to taste anywhere else or cooked in a unique way. There are some distinctions that can be pointed out though for you to better understand the main regional cuisines and know what to expect on your next trip. 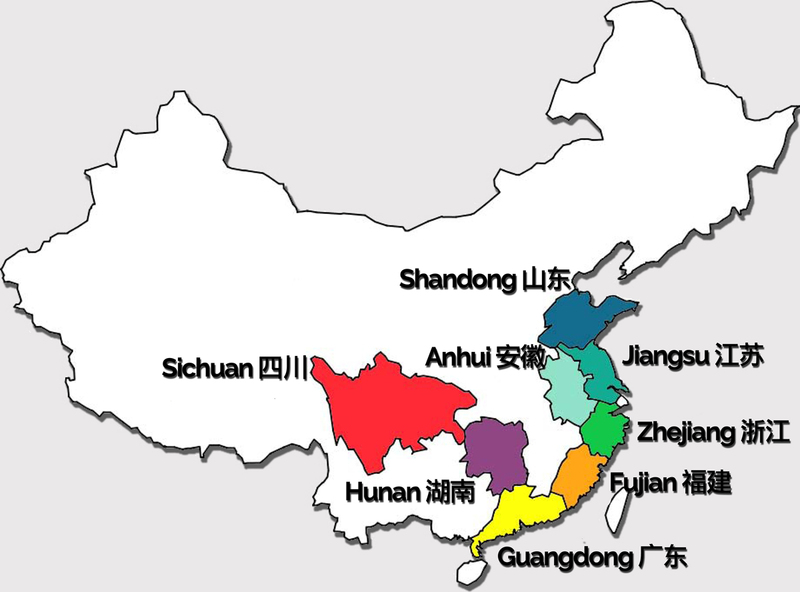 There are 8 major culinary schools called the 8 Great Chinese Cuisines (八大菜系) from 8 different Provinces: Sichuan, Shandong, Anhui, Jiangsu, Zhejiang, Fujian, Hunan and Guangdong. Despite having an even wider range of cuisine styles, each one with its specialities, these 8 have gained major visibility and influence not only in China but worldwide. Sichuan Cuisine is probably the most widely served of all of China’s regional cuisines. 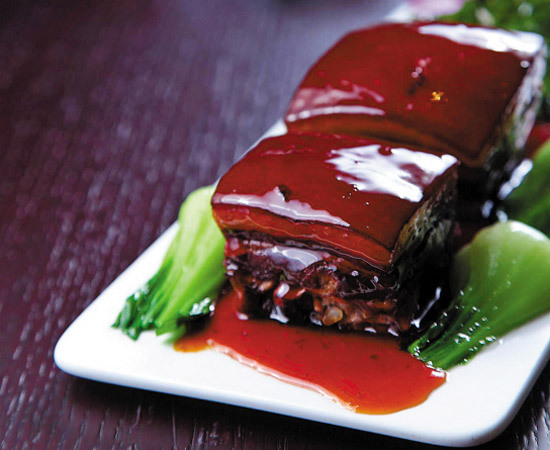 It combines the cuisines from Chengdu and Chongqing. Sichuan food is most well-known for its hot and spicy flavour, though it might include a few sweet and sour flavours too. Sichuan cuisine holds a reputation for its variety of seasonings used, as each dish requires different cooking methods. Dishes are primarily made by stir-frying and steaming, but a full list would count around twenty preparation techniques including steaming, braising, baking, quick-frying and other. The most commonly used spices are chilli and Sichuan Pepper. Some famous dishes common in China and in western countries as well are Gongbao Jiding (spicy diced chicken), Mapo Doufu (diced tofu in a special hot sauce). Finally, the Sichuan Hot Pot consists of a metal pot containing a boiling hot and spicy broth which is placed at the centre of the table. The ingredients are served raw and cooked on the spot in the simmering broth. Shandong cuisine (Lu Cuisine in Chinese) comes from Jiaodong, characterized by light seafood dishes; and Jinan (the province capital), where the use of soup in its dishes is very common. Despite being less known in western countries, Shandong cuisine in China is considered one of the most influential styles of cooking in their culinary history. It's very popular in Beijing, Tianjin and the rest of Northeast China. Shandong Province has a long coast, so fresh river fish and seafood were always the local delicacies. Local dishes then focus on preserving the freshness of the seafood caught along the Shandong Coast, keeping the natural salty flavour intact. Common cooking techniques are the quick-fry and deep-fry. 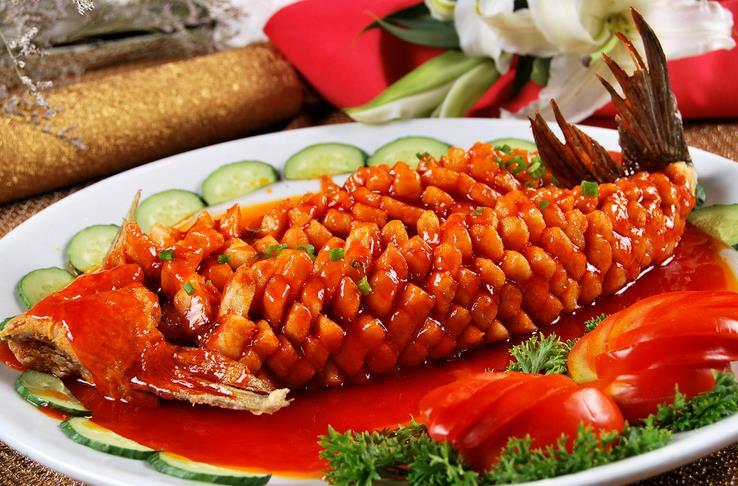 Now Shandong cuisine is appreciated for its many kinds of different seafood and vegetable dishes and style of frying in high heat that preserves the flavours without being too oily. Sweet and Sour Carp - with crisp exterior and tender fish interior, a little sweet and sour. Braised spare pork ribs or stir-fried scalloped pork kidneys. Anhui cuisine (Hui Cuisine in China) is one of the less known among the 8 Great. It's influenced by cooking styles of the people located in Mount Huangshan area, which has a long history itself. It is similar to Jiangsu cuisine, but in the outback, despite the presence of the Yangtze river, there is less emphasis on seafood and more on herbs and vegetables from both the land and the sea. Its dishes are more often braised instead of fried or quick-fried. 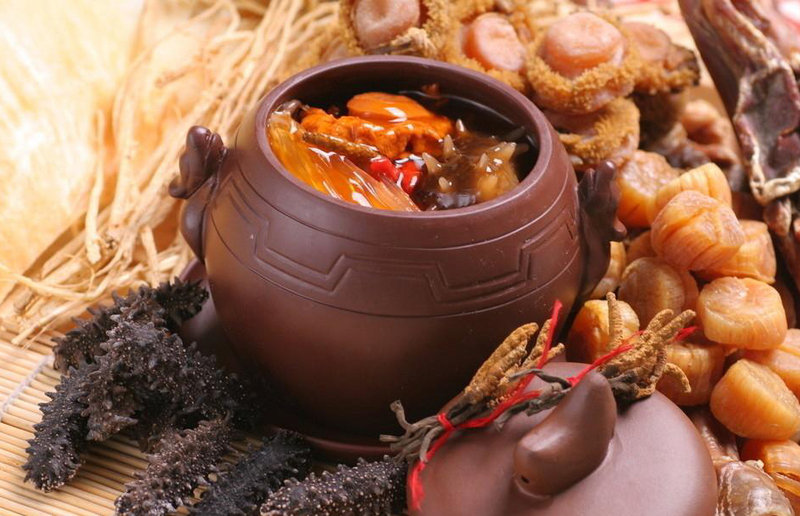 Anhui is also a poorer province if compared to other mentioned in this article, so its dishes come from a more modest tradition and include mainly a very elaborate choice of wild ingredients coming from the mountains that overall though constitute a very healthy diet. 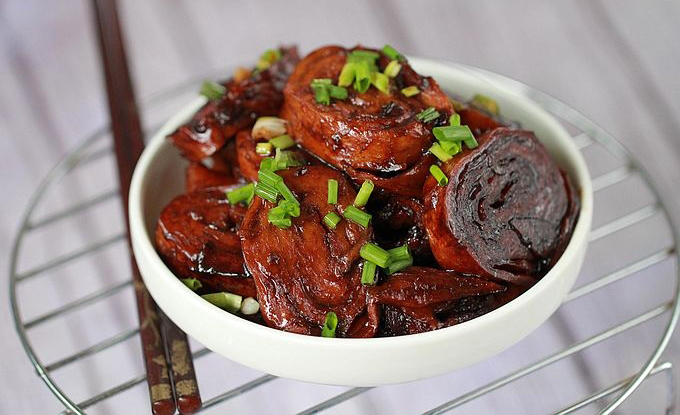 Among Anhui specialities we find Bamboo Shoots cooked with Sausage and Dried Mushroom, Li Hongzhang stew is a complex stew with many different seasonal ingredients, Yellow crab shell cake, so called because of the shape and colour, but actually made of baked sesame filled with pork or vegetables. Jiangsu cuisine (Su Cuisine) is also less known, especially by foreigners and outside China. Jiangsu Province though is rich and has a very refined cuisine and its dishes are usually cooked with very elaborate and meticulous methods and presented in a colourful and artistic way. Jiangsu diet includes a wide variety of seafood and its freshness is paramount. The most common cooking techniques are stewing, braising, simmering, roasting and warming. Here, in order to emphasise the natural flavours in the rich range of ingredients also, very few seasonings like salt, sugar or chilli are added during the cooking. The style might vary according to different cities, namely Yangzhou, Nanjing, Suzhou, Wuxi. Among its delicious dishes, some of the most famous are: Jinling salted duck, a cold dishes served as an appetizer, pan fried dumplings, crispy dumplings usually filled with beef, and last but not least the amazing sweet and sour mandarin fish very representative of this cuisine and its fine and attentive presentation. Zhejiang is located in the Yangtze River Delta and is one of the richest provinces in China, its Cuisine then is known for its sophistication, freshness, tenderness, smoothness and mellow fragrance. 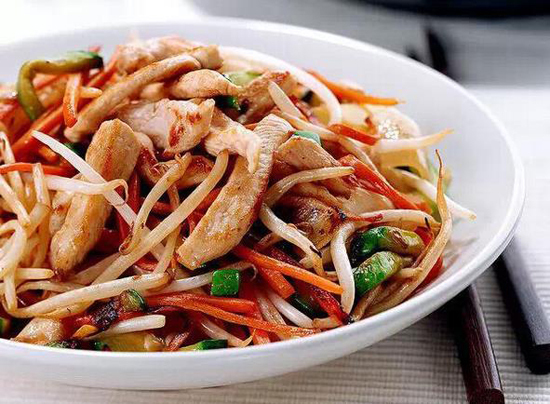 Zhejiang food is fresh and light rather than greasy and usually not spicy. It includes four main regional cuisines: Hangzhou, which is probably the most famous among these, characterized by the use of rich foods and bamboo shoots; Shaoxing, specializing in poultry and fish; Ningbo, specializing in seafood; and the near Shanghai, with its well-known xiao long bao. As in Jiangsu, some of the main ingredients like freshwater fish and a wide variety of seafood is provided by the Yangtze river. The main cooking processes are quick frying, stir-frying, braising and deep-frying. Some Zhejiang famous dishes are Dongpo Pork, Fried pork belly stewed in soy sauce and wine, Shelled Shrimps Cooked in Longjing Tea, Shrimp stir-fried in the famous Chinese green tea and West Lake Braised Fish in Vinegar, a grass carp served in syrup. Fujian cuisine (Min Cuisine), light and flavourful, is influenced by its diverse geographical features, the Coastal position and mountainous terrain. Ingredients such as wild herbs, woodland mushrooms, bamboo shoots, fish, shellfish and turtles are used regularly. Fujian cuisine has four distinctive features: fine cutting techniques, alternative soups, unique seasonings, and exquisite cooking. Sweet and sour seasonings are often added to the dishes and soups are also very common. The Fujianese are famous for applying a wide variety of herbs and seasonings to make the food aromatic and interesting. Its main cooking techniques are stir-frying, baking and deep-frying, boiling, baking, stewing, sautéing with wine, stewing in gravy, grilling, cooking with red rice wine, simmering, smoking and braising. There are countless delicious recipes in Fujian, but a very distinctive (and complex) one is called 'Buddha jumping over the wall' which contains around 30 ingredients, including shark's fin, abalone, sea slug, dried scallops, duck, chicken breast, pig's trotters, mushrooms, pigeon eggs and so on. 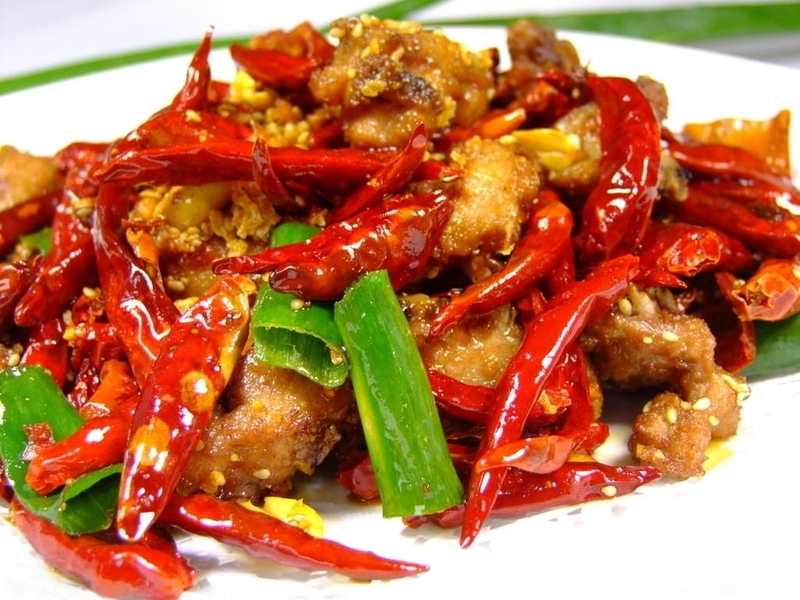 Hunan cuisine (Xiang Cuisine), is a very famous one and often compared with Sichuan one for being hot and spicy. It's characterised by its rich, moist, and either crispy or creamy dishes that almost always contain a potent punch of chilli with strong and pungent flavour. Chilli, garlic, pepper and shallot are usually necessaries in this cooking style. 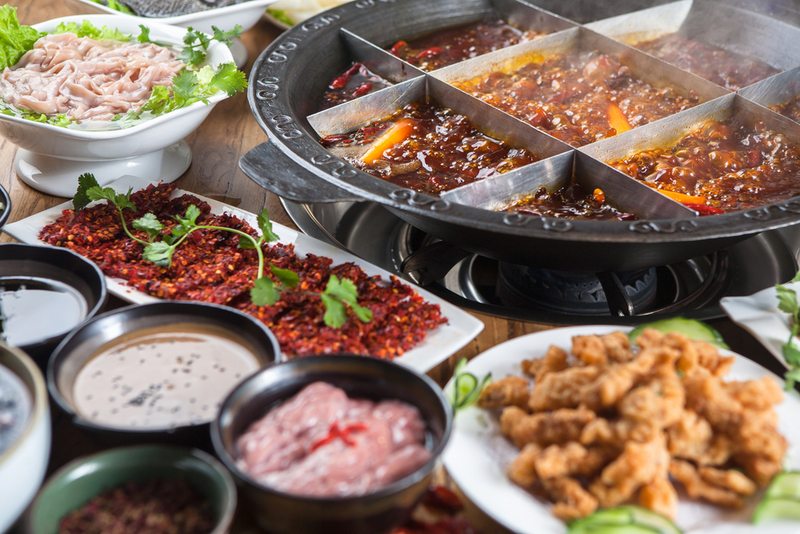 Hunan cuisine makes extensive use of oil, dense colour, and cooking processes that produce crispness and softness as well as the savoury flavour. Hunan is also referred to as “Land of the Fish and Rice”, for its abundant agricultural output. Its dishes then utilise local, seasonal ingredients which contribute to the low cost of this cuisine compared to the other regions. The many different tastes present in this province come from an this unusually wide variety of agricultural products. Several kinds of chilli peppers are grown. The most common methods of cooking include smoking, stir-frying, steaming, sautéing, pickling and fermenting. Some special local dishes are the Steamed fish head with chopped pepper, Chinese bacon fried with pepper and Dong'an chicken, chicken flavoured with chilli and clear rice vinegar. Guangdong Cuisine (Yue Cuisine) also known as Cantonese, is definitely one of the most famous abroad even though what's served in western countries is often pretty far from authentic Yue cuisine. Guangdong dishes take fine and rare ingredients cooked with polished skills and dainty style in order to emphasise a clear flavour. The aim is to highlight the original flavour of vegetable, meat or fruit, so little spice or sugar is used generally. Much attention is paid also to the artistic presentation of dishes. Thanks to its vicinity to the South China Sea, the people in Guangdong have access to a plentiful supply of imported food and fresh seafood. Spices are used moderately, and fresh herbs are seldom added to the food. What distinguishes Cantonese food are lightly cooked fresh vegetables and meat, and sweet sauces. Its basic cooking techniques include roasting, stir-frying, sauteing, deep-frying, braising, stewing and steaming. 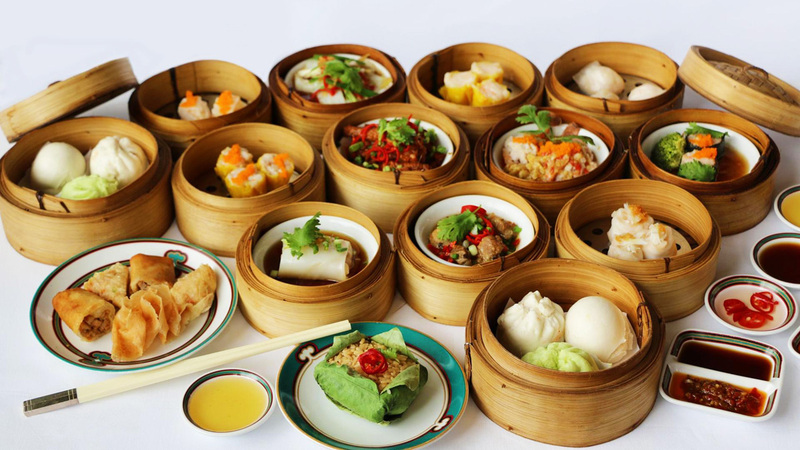 Local dishes include the famous dim sum, small morsels of food typically served at breakfast or lunch alongside tea. Naturally, Chinese cuisine offers countless more delicacies that are just waiting to be discovered. We gave you a first basic distinction between the main cooking styles. If you love food and trying new tastes China is the place for you. Don't forget that at CTS Horizons we offer wonderful themed culinary itineraries like Flavours of China, or contact us for a special tailor-made tour into Chinese cuisine tradition.